Lawmakers are scheduled to vote Wednesday on multiple flavors of Brexit, after the House of Commons voted to wrest the parliamentary timetable away from May’s weakened government and hold votes on alternatives to her rejected withdrawal agreement. But government officials acknowledged they were no longer in control of Brexit. 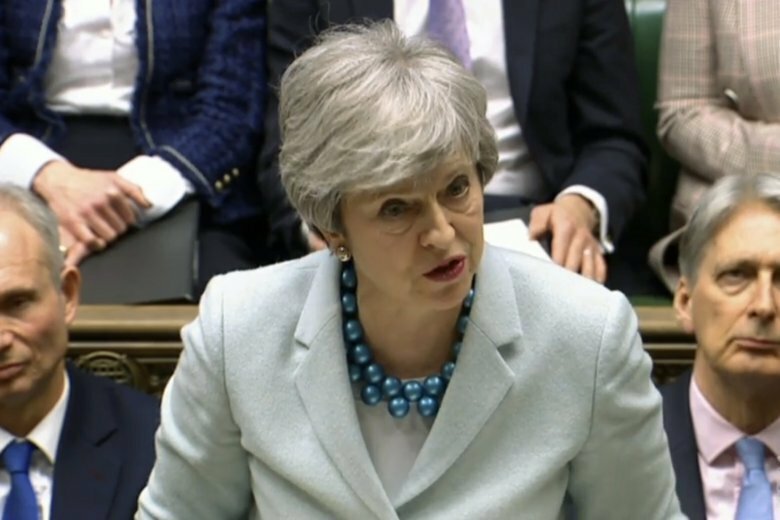 May’s authority was hanging by a thread after 30 members of her Conservative Party defied her instructions and voted late Monday for Parliament to take control of the process. Three government ministers resigned rather than vote with the government. EU officials, exasperated by months of British political gridlock, welcomed Parliament’s move to take control. The EU legislature’s top Brexit official, Guy Verhofstadt, said the U.K. lawmakers’ votes could dramatically alter the course of the U.K.’s departure. That appeared unlikely after the small but influential Democratic Unionist Party from Northern Ireland, which props up May’s minority government, refused to water down its opposition to the withdrawal agreement. The DUP controls 10 crucial votes in the House of Commons, and many hard-line Brexit supporters may follow the party’s lead when deciding how to vote. DUP Brexit spokesman Sammy Wilson wrote in the Daily Telegraph that his party couldn’t support May’s “toxic” deal. He said delaying Brexit by up to a year would be preferable to “volunteering to be locked into the prison of the withdrawal deal with the cell door key in the pocket of Michel Barnier,” the EU’s chief negotiator. “It’s a little bit similar to the way that when you’re in quite a good nightclub and then a friend of yours says … ‘I know somewhere else to go’ and then you all leave and then you realize you can’t get into the other club,” said tech executive Russell Robinson.